The underlying theme of my career has been to understand and facilitate human behavioral change, particularly behavioral change that is fundamental to addiction recovery. Toward that end, much of my research has applied behavioral economic concepts such as delay discounting to decision-making underlying drug addiction. My current research is applying these models to understand the high rates of sexual HIV risk behavior associated with certain abused drugs (e.g., cocaine, methamphetamine, alcohol). Another focus of my research involves laboratory studies determining the behavioral and psychological effects of psychoactive drugs in humans, particularly novel or atypical drugs. This work has examined hallucinogens including psilocybin and salvinorin A (Salvia divinorum), stimulants including cocaine, methamphetamine, nicotine, and caffeine, and various sedatives. Current research with psilocybin is examining its potential for facilitating behavior change. These studies include a trial determining the ability of psilocybin to increase engagement in a meditation program, a trial testing if psilocybin can decrease anxiety and depression in cancer patients, and a study examining psilocybin as an anti-addiction medication for tobacco smoking cessation. Roland Griffiths, Ph.D., is Professor in the Departments of Psychiatry and Neurosciences at the Johns Hopkins University School of Medicine. His principal research focus in both clinical and preclinical laboratories has been on the behavioral and subjective effects of mood-altering drugs. His research has been largely supported by grants from the National Institute on Health and he is author of over 360 journal articles and book chapters. He has been a consultant to the National Institutes of Health, and to numerous pharmaceutical companies in the development of new psychotropic drugs. He is also currently a member of the Expert Advisory Panel on Drug Dependence for the World Health Organization. Dr. Griffiths has conducted extensive research with sedative-hypnotics, caffeine, and novel mood-altering drugs. In 1999 he initiated a research program at Johns Hopkins investigating the effects of the classic hallucinogen psilocybin that includes studies of psilocybin-occasioned mystical-type experiences in healthy volunteers, psilocybin-facilitated treatment of psychological distress in cancer patients, psilocybin-facilitated treatment of cigarette smoking cessation, psilocybin effects in beginning and long-term meditators, and psilocybin effects in religious leaders. Drug interaction studies and brain imaging studies (fMRI and PET) are examining pharmacological and neural mechanisms of action. The Hopkins laboratory has also conducted a recent series of internet survey studies characterizing the effects hallucinogen-occasioned mystical experiences, challenging experiences, and effects on substance abuse. Albert Garcia-Romeu is a member of the Psychiatry and Behavioral Sciences faculty at the Johns Hopkins University School of Medicine, where he studies the effects of psychedelic drugs in humans with a focus on psilocybin as an aid in the treatment of addiction. He received his doctorate in psychology from the Institute of Transpersonal Psychology in Palo Alto, CA where he researched self-transcendence and meditation. His initial work focused on the measurement and subjective effects of spiritual and transcendent experiences, and how such experiences could manifest as either pathological symptoms, or enhanced well-being. This included research on psychometric properties of trait self-transcendence, the role of serotonergic and dopaminergic circuitry in mediating self-transcendence, and genetic influences related to expression of this construct. His qualitative research in this area helped elucidate the environmental and psychological factors contributing to self-transcendent experiences with persisting beneficial effects, and the ways these are typically evoked in healthy individuals, often involving spiritual practices and/or ingestion of psychoactive substances. His interest in meditation led to an ongoing collaboration with Dr. Sam Himelstein investigating mindfulness-based interventions in incarcerated youth. The goal of this work was to adapt mindfulness-based stress reduction and test its feasibility in adolescent populations in the juvenile justice system with an eye towards its applicability to minority youth from disadvantaged backgrounds. Because this group is at high risk for substance use and psychiatric comorbidities, we hypothesized that mindfulness-based interventions may offer some protective benefits against a high-stress correctional environment. Our research represents some of the seminal work in this area, and has shown that exposure to mindfulness meditation in the context of a structured program is associated with significant increases in healthy self-regulation and self-esteem, and improved behavior in incarcerated adolescent males. Upon completing his doctoral dissertation, Dr. Garcia-Romeu was awarded an NIH funded postdoctoral fellowship at Johns Hopkins School of Medicine, where he began working with Drs. Matthew Johnson and Roland Griffiths on a series of studies investigating the psychopharmacology of serotonergic hallucinogens (i.e. psychedelics). His main emphasis has been researching the therapeutic potential of the naturally occurring psychedelic psilocybin as an aid in the treatment of tobacco use disorder. During his postdoctoral training he conducted more than three-dozen daylong human drug administration sessions and helped complete the first human laboratory study examining use of a psychedelic for smoking cessation. This pilot study’s favorable results helped pave the way for Dr. Garcia-Romeu’s promotion to a faculty position, and further investigation of psilocybin-facilitated smoking cessation. His current interests include further refinement of clinical interventions involving psychedelics and mindfulness for mood and substance use disorders, and additional examination of the biological underpinnings and spiritual significance of altered states of consciousness. Mary Cosimano, MSW is currently with the Department of Psychiatry and Behavioral Sciences at the Johns Hopkins University School of Medicine and has served as a study guide and research coordinator for the psilocybin research project for 17 years. During that time she has served as a session guide for the psilocybin studies and has conducted close to 400 study sessions. Ms. Cosimano earned her Masters of Social Work from West Virginia University. She worked as a clinician teaching individual and group meditation to breast cancer patients in a research study at Johns Hopkins, as a behavior modification counselor for weight loss, a school guidance counselor, and has 15 years of experience with direct patient care as a hospice volunteer. 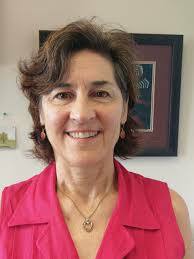 Ms. Cosmino has been involved in all the psilocybin studies, as well as Salvia Divinorum, dextromethorphan and club drug studies conducted at Johns Hopkins. Nora Belblidia joined the psilocybin research study team in 2017 as a research program coordinator for the smoking cessation study. She manages volunteer screenings, data entry, and assists in the preparation of scholarly manuscripts and scientific reports. She also serves as a session guide. She received her Master's in Clinical Psychological Science from the University of Maryland, and is currently studying Science Writing at Johns Hopkins University.